Are you confused by Town Planning terms? Town Planning is famous for its industry specific jargon. From “MCU” to “ROL” to “Existing Use Rights”. We hear you! We want to make things simple for you. This glossary focuses on some of the general terms in the Queensland system. 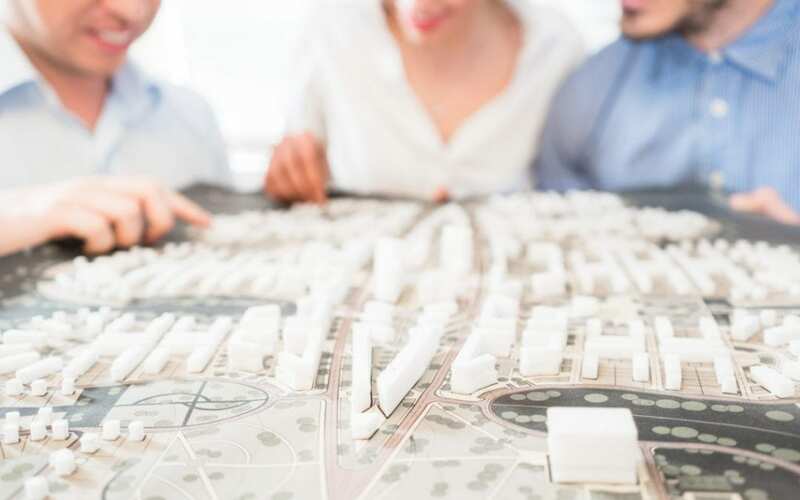 Let’s start with the definition of a Town Planner: Town Planners are professionals who specialise in developing strategies and designing the communities in which we live, work and play. Balancing the built and natural environment, community needs, cultural significance, and economic sustainability, planners aim to improve our quality of life and create vibrant communities. Amenity – The pleasantness of attractiveness of a building or place. This is what Town Planners are seeking to protect, develop and encourage. How we feel and operate within our environment is paramount and at the forefront of our minds. Code Assessment – Code assessment is a bounded assessment only against applicable planning requirements (assessment benchmarks or the relevant codes). This type of assessment is usually relatively straightforward and does not require the application to be publicly notified. Existing Use Rights – existing lawful use rights ensure that land uses that were lawful under a repealed planning instrument are not rendered unlawful by amendments made to current planning instruments. That is, the use of premises that was lawful at the time it commenced continues to be lawful despite any changes brought about by the introduction of a new or amended planning scheme. That is a use that was lawful under the previous ‘Rules’ (such as a Planning Scheme) and therefore the use rights are protected as existing lawful use rights. Impact Assessment – Impact assessment must be assessed against the assessment benchmarks, and regard may be given to other relevant matters. This type of assessment must be publicly notified (see public notification below), i.e. a Notice in the Newspaper, Sign on the Land and Letter to adjoining neighbours. Anyone who makes a submission (objection) has the right to a Third Party Appeal (see below). A material change in the intensity or scale of the use of the land. Planning Instrument – The planning legislation establishes a framework of planning instruments and processes. These support the operation of the planning system. The legislation also determines which instrument takes precedence at any given time. This hierarchy is important. Planning Scheme – The planning scheme guides growth, development and change in a local area. Each council, in consultation with its community, prepares its own planning scheme. Ultimately, the scheme is approved by the Minister to ensure it addresses state and regional planning matters, as well as local needs and aspirations. Once the planning scheme is prepared and approved, development applications may be made to the assessment manager, which is usually the relevant local council. ROL – reconfiguring a lot – this is essentially subdividing land, or carrying out other actions such as amalgamating lots or rearranging boundaries. SARA – Sate Assessment and Referral Agency – A referral agency is an entity that is not the assessment manager (the assessment manager is typically the Council) but has a role in a development application. The State Assessment and Referral Agency (SARA) is a common referral agency, but other agencies can act in this role (e.g. port authorities and utilities providers). Third Party Appeal Rights – Third party appeal rights will continue for people who make a ‘properly made’ submission. A submitter may only appeal against the part of the development approval relating to impact assessable development, or a variation approval under Section 43 of the Planning Act 2016. The appeal can be against one or more of the following: granting of a development approval; a condition of, or lack of conditions for a development approval; or the length of the current period. Town Planning is a dynamic industry seeking to adapt to and evolve to the changing needs of our environment and society. We love the cut and thrust of the industry. Maybe you are not as excited about it all as we are at Wall Planning & Environmental Consulting – but that is ok as we are here to help. Our founder, Renee Wall, has brought her international experience to the Central Queensland region. Renee is a planning and environmental professional with over 20 years experience in the planning and environment sector, specialising in providing permitting advice and development assessment solutions for the property and infrastructure sectors.